"Mizubasho, Handmade Bag Specialty Shop" faces Sakaimachidori Street. 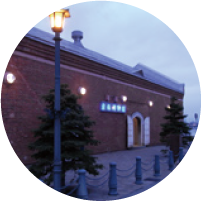 It is a five-minute walk from Otaru Orgel Doh and Kitaichi Glass. 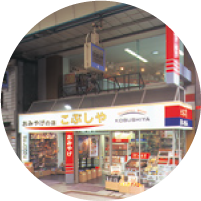 "Mizubasho Sapporo Store, Handmade Bag Specialty Shop (former "Nanakamado") " is located on the second floor of "Souvenir Shop KOBUSHIYA", at the west corner of Tanukikoji Shopping Street 4-chome. 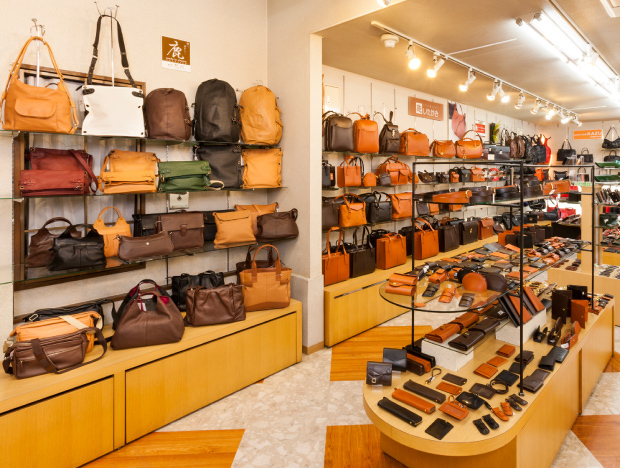 "Mizubasho Hakodate Store, Handmade Bag Specialty Shop" is in Kanemori Youbutsukan within Kanemori Red Brick Warehouse. For details, please refer to the website of[Facilities Guide of Kanemori Red Brick Warehouse]. it to us on your smartphone. Please present this voucher before payment. Discount cannot be offered after payment. 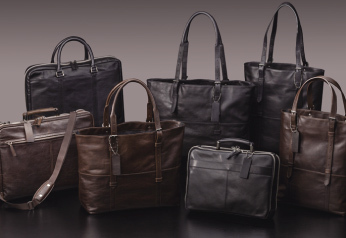 We have been successfully providing high-quality leather products thanks to the unstinting efforts of craftsmen in Hokkaido. Having worked with the craftsmen for many years, we are impressed with their strong commitment to their job and products. 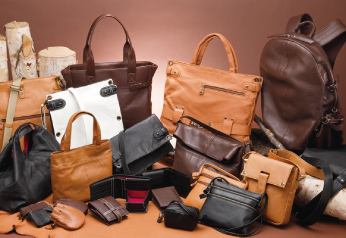 In addition, through our experience with our customers and leather products, we also feel the customers' strong attachment to the products. Many customers buy our products for their important milestones in life. We strongly feel that our products are not merely "objects". 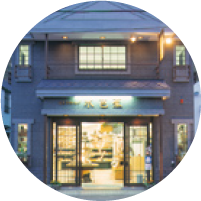 We would like to make the shop name "Mizubasho" mean the place connecting craftsmen's and customers' commitment. 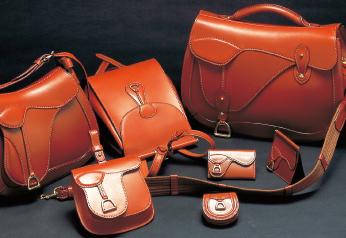 In addition, we always wish to provide deep emotion and memories to customers through our leather products. 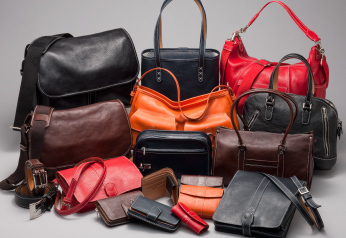 leather articles at our shops. product? It's perfect for gifts! 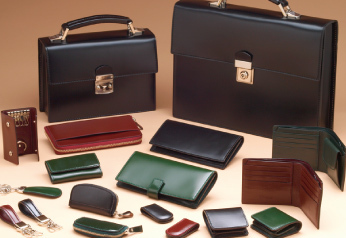 We will engrave your name on purses and other small articles free of charge. It takes about five minutes to engrave one item. The required time may change according to the situation in the shop. Only one typeface can be selected for one name. The height of a capital letter is about one centimeter. We will only use "blind debossing" (that is, scorching with heat). We cannot accept orders for gold or silver foil debossing. The number of characters which can be engraved varies according to products, so we may not be able to accept your request. The number of characters should be about ten. The more the characters are, the more difficult it is to engrave them beautifully because of dispersion of heat and pressure. The number of characters should be about ten, and no symbols other than periods are available. Neither hyphens nor commas are available. We will write the name by hand and scorch the leather using a pen. Characters may not be uniform, and scorched parts may be slightly uneven. We will decide the size and position of name engraving. We will provide the name engraving service only to customers visiting our shops. Name engraving cannot be requested by mail order. 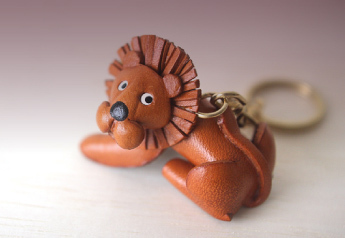 Once characters are engraved, they cannot be corrected because the leather is scorched. Once characters are engraved, you cannot return or exchange the engraved product with a new one.